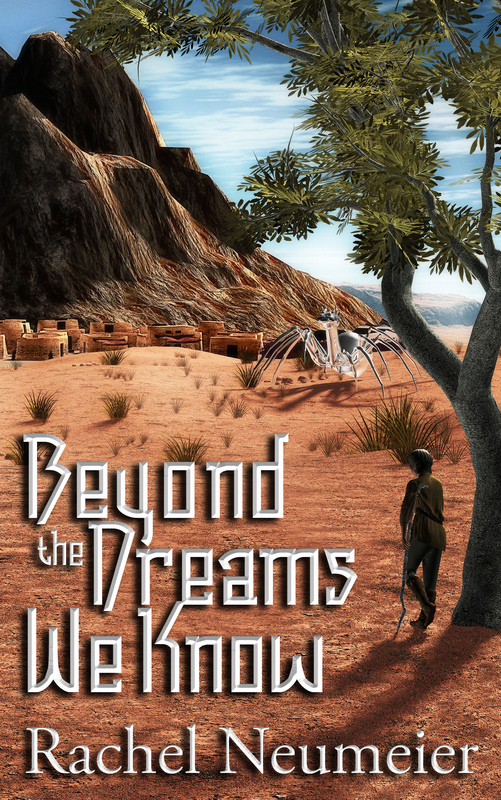 Beyond the Dreams We Know went live on Amazon yesterday! I am still revising, but every story has been completed. The book is about 330 pages, nearly 110,000 words, so it’s definitely a real book. It contains four novellas and three short stories. In the world of City in the Lake, entering the great forest may lead you to your heart’s desire . . . but the one certainty is that the forest always has its own desires, and might very well tilt anyone’s quest to its own ends. Erest’s family knew they might risk unknown dangers when they first chose to build their home in the shadow of the Kieba’s mountain, but she hasn’t seemed offended by their presumption . . . yet. When disaster strikes, could Erest dare turn to the Kieba for help? In a world much like our own, no one expects mysterious, beautiful dragons to begin emerging from earth and stone. But even when mystery and magic isn’t concerned with us at all, it can change our lives . . .
Rediscover four worlds and explore new ones in Neumeier’s latest collection of short fiction. Also, I dreamed last night that I met you at a book signing in NYC. You were exceedingly gracious to my inarticulate ramblings about how much I liked WINTER OF ICE AND IRON. Need to double check now that I have thoroughly reviewed on Amazon and elsewhere in real life! I’m glad I was exceedingly gracious in your dream! I’d hope to be gracious to anyone who tells me they loved one of my books, whether they’re articulate or inarticulate or reduced to wordless gesticulations. After the wordless gesticulations comment, for a second I was thinking, can I do a post using graphical representations for American Sign Language, then I realized that’s just written English… Doh.